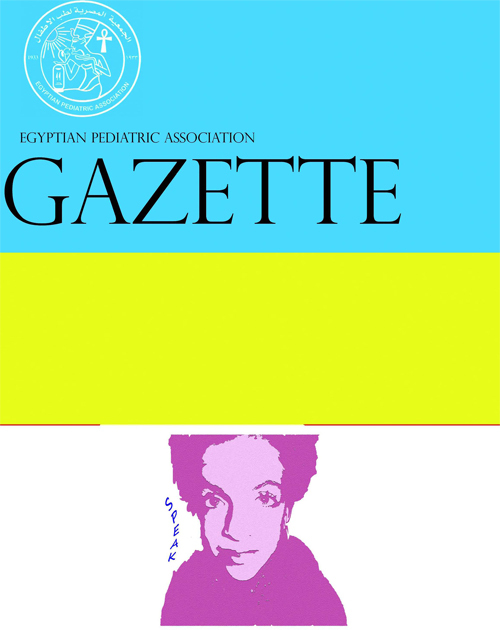 The Gazette is the official journal of the Egyptian Pediatric Association. The main purpose of the Gazette is to provide a place for the publication of high-quality papers documenting recent advances and new developments in both pediatrics and pediatric surgery in clinical and experimental settings. An equally important purpose of the Gazette is to publish local and regional issues related to children and child care. The Gazette welcomes original papers, review articles, case reports and short communications as well as short technical reports. Papers submitted to the Gazette are peer-reviewed by a large review board. The Gazette also offers CME quizzes, credits for which can be claimed from either the EPA website or the EPA headquarters. Fields of interest: all aspects of pediatrics, pediatric surgery, child health and child care. The Gazette complies with the Uniform Requirements for Manuscripts submitted to biomedical journals as recommended by the International Committee of Medical Journal Editors (ICMJE). Editorial issues are managed according to the guidance provided by the Committee of Publication Ethics (COPE).